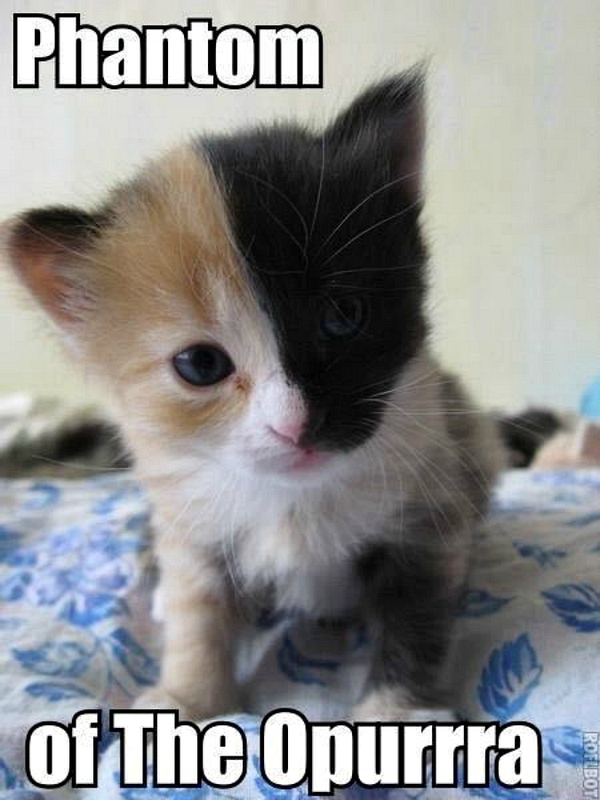 love, laurie: "phantom of the opurrra"
here's your daily dose of cuteness . . .
ryan found this picture the other day and i thought it was so cute (especially since we love kitties and the phantom of the opera). Way too cute. That is a combo of Leko and Louie. I want it.